Medical media is changing along with the rest of the media landscape. One of the more interesting ways that medical media is evolving is the increased role of social media in medical media's creation, curation and distribution. Twitter, a microblogging site, has become a central hub for finding, vetting, and spreading this content among doctors. We have created a Twitter journal club for nephrology that primarily provides post-publication peer review of high impact nephrology articles, but additionally helps Twitter users build a network of engaged people with interests in academic nephrology. By following participants in the nephrology journal club, users are able to stock their personal learning network. 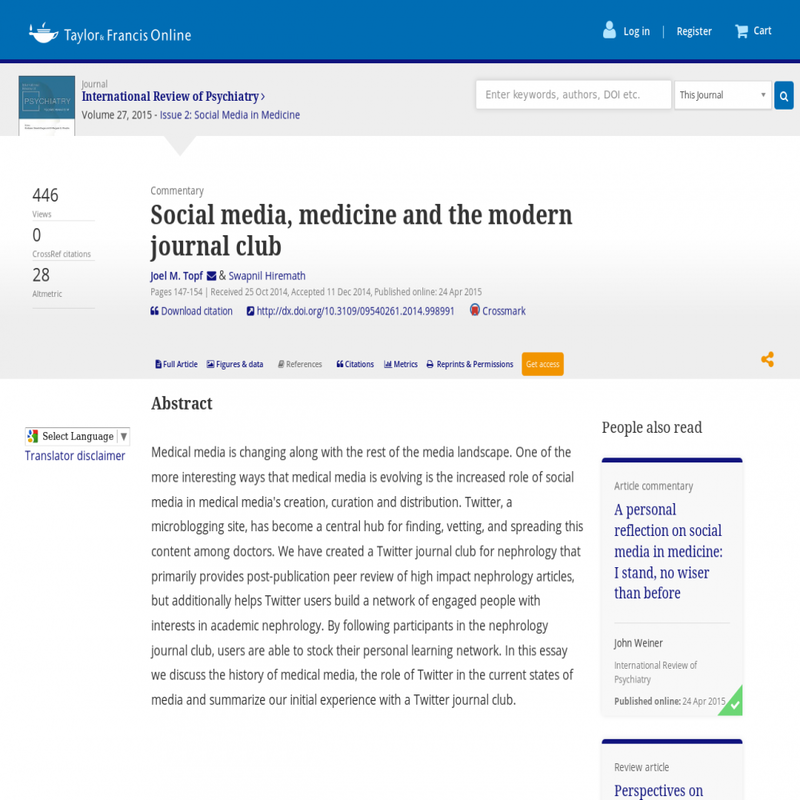 In this essay we discuss the history of medical media, the role of Twitter in the current states of media and summarize our initial experience with a Twitter journal club.